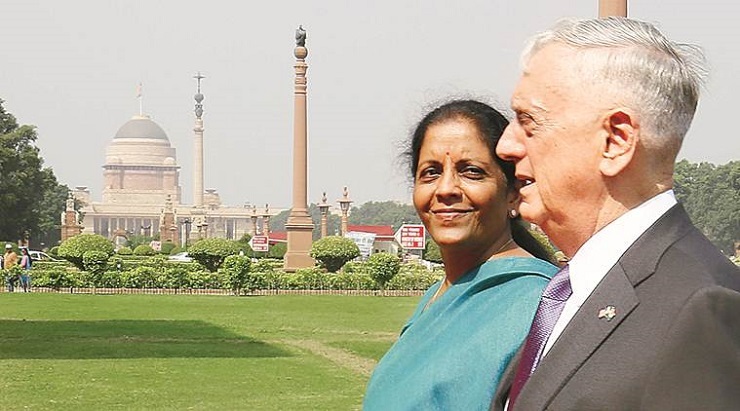 The talks between American and Indian foreign and defense ministers, loosely described as the 2+2 dialogue were held on September 6 in New Delhi. These talks constitute yet another major step in the regional game driven by its two major players. It is only logical to assume that all the other players have been closely following the meeting that took place in India’s capital. It should be noted that whenever any states launch negotiations in this format, it is usually a sign that those two countries trust each other to a certain degree and have managed to established bilateral ties of excellent quality. Until recently, this evaluation could be easily applied to the state of US-Indian relations, which had been actively developing rapidly over the course of the last two decades, regardless of the forces that were in power in Washington and New Delhi over this period of time. Actually, last year’s decision to establish the 2 + 2 format can be viewed as an intermediate step in the gradual accumulation of positive momentum in all aspects of Washington-New Delhi relations, including military ties. However, in the last few months a number of obstacles have arisen that may hamper the “smoothness and continuity” of the process outlined above. One of these is growing awareness of the Indian political elites of the dangers that arise from being at the forefront of Washington’s confrontation with Beijing, which may result in a direct military conflict at any turn. New Delhi has now fully grasped the fact that as it proceeds with establishing closer ties to Washington, it will inevitably be opposed by the geopolitical rivals of the latter. Those risks have been particularly visible after a three-month Sino-Indian military confrontation on a small plateau of the Himalayas, which occurred last summer. That’s when New Delhi decided that it had no intention of being caught in the crossfire, launching the process of establishing better ties with Beijing, which began in April with an unofficial meeting of the leaders of both states in Wuhan, immediately followed by a number of other meetings in various formats. It seems that this was this summit in Wuhan that made New Delhi delay the talks in the 2 + 2 format. Thus India has sent a message that is going to address its most pressing challenges, while temporarily suspending a “smooth continual” rapprochement with the United States. But it has also made it clear that it had no intention of pulling the plug on it. Yet another reason why the 2+2 talks were delayed was the aggravation of the internal political struggle in the United States, as those forces opposing each other in Washington have a different outlook on the place the US should be occupying at the international stage, regarding its strategy and behavior. One of these groups closed ranks around the sitting American president, the other – pledged all of its support to Congress. However, within these groups there is a large number of “subgroups”, pursuing their own interests. The fractured nature of today’s American elites has drastically affected the preparations for negotiations with India in the 2 + 2 format. However, it’s important to stress the fact that Washington’s relations with New Delhi were frozen for almost three decades in the closing stages of the Cold War. 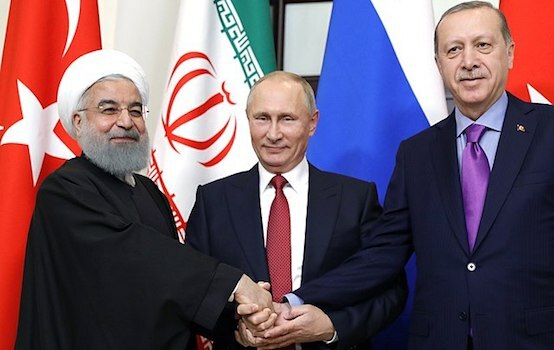 Those relations were subsequently restored in late 90s, becoming one of the few major and extremely important achievements of US foreign policy in modern history. Both Mike Pomeo and James Mattis tried to convey this simple notion to the US Congress last May, when they pleaded to representatives to introduce an exception for India and other “special allies” to the Countering America’s Adversaries Through Sanctions Act (CAATSA), adopted in August 2017. This became necessary due to India’s dead solid intention to purchase up to six billion dollars worth of Russia’s edge-cutting S-400 air defense systems. The Russophobic crowd in Congress, it seems, have not completely lost it, since they allowed preparations for the 2+2 negotiations with India. However, Assistant Secretary of Defense Randall Shriver made it clear that the issue of excluding India from the application of CAATSA hasn’t been resolved. 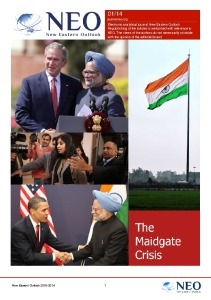 Washington welcomed the expansion of India’s presence in Afghanistan. It’s clear that most of the points listed in this statement have been throughly discussed prior to the summit. There is no doubt that this whole “Joint Statement” has already been thoroughly studied in China and Pakistan, since both countries have something to pay attention to here. If a US warship or aircraft detects a Chinese submarine in the Indian Ocean, for instance, it can tell us through COMCASA-protected equipment in real-time, and vice-versa. Thus, both Mike Pompeo and James Mattis have something to report to the president and Congress on regarding the results of their trip to India. There remains, however, the question of how to combine the practical implementation of the discussed US-Indian “Joint Statement” with the same CAATSA law. For the time being there is no evidence of the possibility of changing India’s position on the deal with Russia on the purchase of S-400 systems, as well as on its readiness to abandon oil imports from Iran. At the final press conference, Mike Pompeo spoke on this issue in fairly general terms, pointing out that even though exceptions to CAATSA are a possibility, Washington still expects its partners to take it into consideration. In the absence of clarity regarding the prospects for the implementation of the newly signed US-Indian document, Beijing preferred to refrain from any steps for the time being. At a regular press conference, China’s foreign ministry spokeswoman Hua Chunying limited herself to a brief remark, in which, in particular, she expressed satisfaction with the development of normal relations between the US and India. Nevertheless, one can observe the activation in recent days of contacts on the Chinese-Pakistani side of the strategic regional triangle “China-India-Pakistan”, the overall dynamics of the situation, however, deserve separate evaluation.